Meet PEACCEL at the biocat2018. Rudy PANDJAITAN (Senior Director – Business Development) will be representing PEACCEL at this event. Meet PEACCEL at the GRC Biocatalysis. Meet PEACCEL at the 27th CBSO Colloquium. Matthieu NG FUK CHONG (Team Leader Proteins & Enzymes) and Rudy PANDJAITAN (Senior Director – Business Development) will be representing PEACCEL at this event. Meet PEACCEL at Bio-IT World 2018. Matthieu NG FUK CHONG (Team Leader Proteins & Enzymes) and Olivier SAVRIAMA (Team Leader Data Analysis & Application Development) will be representing PEACCEL at this event. Meet PEACCEL at ABLC 2018. 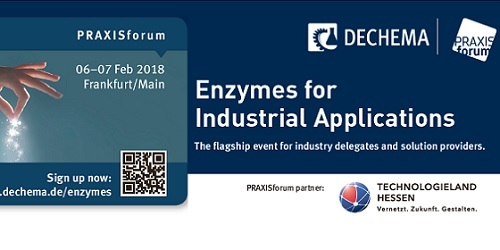 Meet PEACCEL at PRAXISforum Enzymes for Industrial Applications 2018. Meet PEACCEL at PepTalk: The Protein Science Week. “Automatic reconstruction and modelling of biocatalyst systems for the production of specific biochemical compounds“.